The moment you drive into Sandwich MA, Cape Cod's oldest town, you feel the town's rich history. Beautifully preserved centuries-old homes show the loving care of their current owners. A working gristmill stands in the Village center, next to one of the oldest Town Halls in the USA. And as you venture to the outskirts of town, scenic back roads lead to cranberry bogs, salt marshes and breathtaking views of Cape Cod Bay. Can you tell I'm a big fan of this special town??? As I'm quite sure you will be, too! Sandwich is at the eastern end of the Cape Cod Canal, on the shores of Cape Cod Bay. 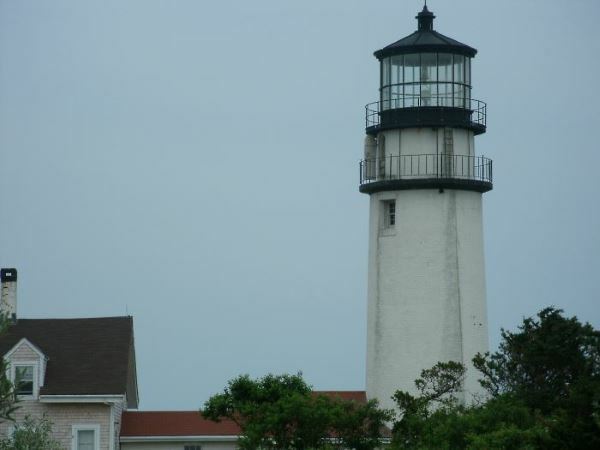 The town's proximity to the "mainland" makes it an easy drive to/from Boston, and a handy home base for visitors who plan to spend most of their time exploring the nearby towns of Bourne, Falmouth, Mashpee, and Barnstable. 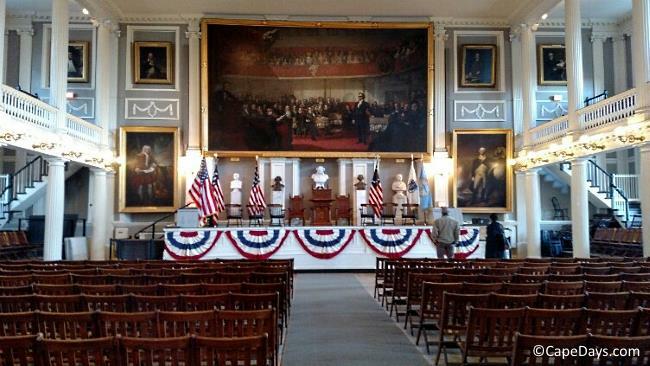 Although its serene, Colonial charm draws many vacationers to Sandwich, there's plenty to keep you busy here, too - whatever your interests might be. 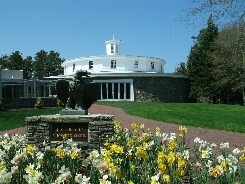 Heritage Museums & Gardens (67 Grove Street) is made up of 100+ acres of fabulous gardens, three museums, and a special "Hidden Hollow" for the kids. It's easy to lose track of time here, wandering through the gardens, admiring vintage cars in the auto museum, and riding the indoor carousel. As you step in the doorway to Hoxie House (18 Water Street), you'll wonder how this 1600s saltbox home could possibly have housed the Reverend and Mrs. John Smith and their 13 children. 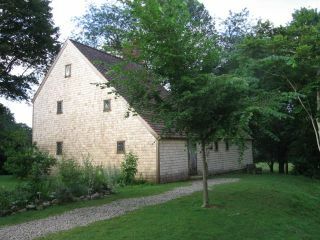 A 30-minute guided tour gives adults and kids a thoroughly fascinating peek into family life in Colonial Sandwich MA. The town's artesian well is your opportunity to sample some of the freshest water Mother Nature can provide. 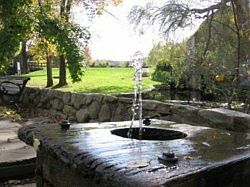 You'll find the well in the center of Sandwich Village, just adjacent to the Dexter Gristmill. Bring an empty water bottle or two and fill 'em up. The water's free for the taking, and it's crystal clear, super-cold, and the best you'll ever taste! The Sandwich Trout Hatchery (on Rte. 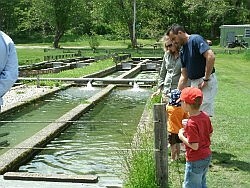 6A heading east out of town) is home to all sizes and species of trout being raised for release into our local waters. Be sure to take some loose change when you go. For a quarter, you can buy a handful of fish food and keep your kids giggling and happy for 15 minutes or so feeding the fish! 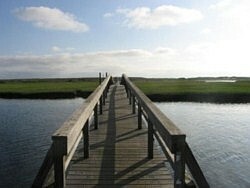 Sandwich Boardwalk (Boardwalk Road off Jarves Street) is the perfect place to take an early morning stroll. Crossing acres of creek and marshlands inhabited by all manner of wildlife, the end of the Boardwalk is where the "Ooh. Aah!" moment happens, as you get your first glance of the sprawling beach and Cape Cod Bay. 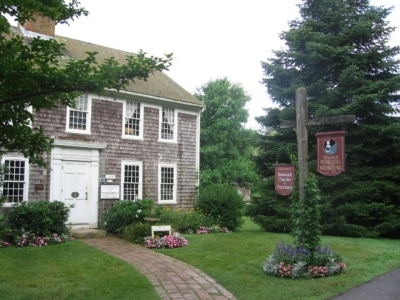 Sandwich has a wide varitey of lodgings, from a lakeside campresort, to a myriad of vacation rental homes and cottages , to an an elegant inn that hosted famous patriots during Revolutionary War days. For an upscale "spin" on a classic Cape Cod-style motel, Sandwich Inn & Suites is not to be missed! 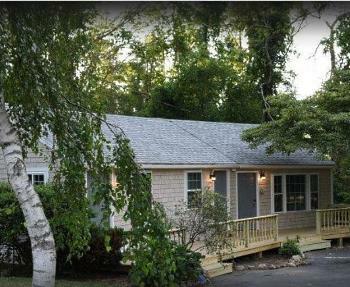 Recently opened by new owners after giving the accommodations a major face-lift inside and out, this new kid in town is sure to become one of the most popular places to stay in Sandwich. 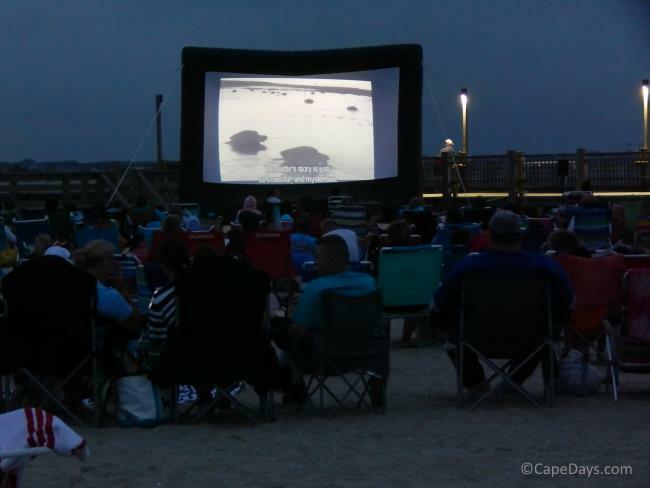 Make your reservations early, and enjoy your visit to Sandwich MA!